The second part of our Ben Bracken news comes with the announcement that my great publishers Endeavour Media have given the go-ahead for another Ben Bracken thriller, due Summer 2019. I’m absolutely delighted by this news, and elated to be bringing more Ben Bracken to readers. THE PENNY BLACK will see Ben Bracken in exile, only for his new home to fall victim to a siege only he can prevent. It’s another action-packed instalment set in the quiet river systems of the Norfolk Broads, a setting more used to the booming of bitterns than gunfire. But… we aren’t stopping there. Far from it, because we’ve got another surprise in store. Bracken will be back again at Christmas 2019, with another series instalment in TILL MORNING IS NIGH. That’s right, two Ben Bracken novels are coming in 2019. TILL MORNING IS NIGH sees Bracken return to Manchester with a poisoned chalice, faced with resolving a high-profile kidnapping under the twinkling fairy lights of the holiday season. I’ve had a blast putting these together, and can’t wait to unleash them on readers this year. Speaking of my readers, thanks so much to all of you – for reading and reviewing, for supporting and sharing the news and updates, thank you all so much. Eternally grateful – and huge thanks as always to Endeavour Media, the entire team there, and my agent Linda Langton. Cheers all, and, as Samuel L Jackson famously said in JURASSIC PARK, ‘hold onto your butts’. Behind the scenes, the cogs have been whirring for some time on what’s coming next in my writing career, and after a great deal of discussion, I can happily report the answer to this will be: A LOT. The news and plans will be dripped through as things are confirmed, but myself and my super publishers Endeavour Media are going to release the first bit of news this week, then the next the week after. Boom, goes the dynamite. I’m absolutely delighted with this dynamic and exciting look for the series, and these covers are in place right away in the marketplace. You can check them out in the wild here and here! This will be reflected in paperbacks from the next print run. For those paying attention, you’ll notice something else too is different… my name. That’s right, after some deliberation, I’ll now be writing as Rob Parker, as opposed to Robert. I feel like now is a good time to change, and a good time to make a step forward – plus the giant literary career of a certain Robert B Parker will always be there, and I can now sidestep that a touch! This change is pretty small, but took some persuading of me – but then I realised that everyone I’ve met in the industry knows me as Rob anyway! This makes things much simpler. 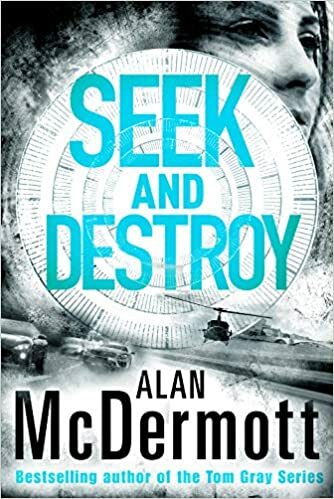 I’d been a fan of Alan McDermott’s work for some time, having got hooked on the high-octane, pure thrills of his excellent Tom Gray series – so when I was afforded the opportunity of an early read of his new book, Run and Hide, I leapt at the chance. This is the first book of an all new series featuring Eva Driscoll, an ex-operative for the US government, who plummets headlong into the shady conspiratorial world at the top of the American power structures. Simply, her brother is dead, and she wants to know why – and avenge him. She is a marvellous creation – a leather-clad, highly-trained, woman-of-mass-destruction with guts, grit and smarts. The plot that she uncovers, and the circumstances under which her brother’s death was arranged, I found both enthralling and highly topical, with the nature and responsibility of power one of the key issues explored. The book moves along breathlessly, yanking the reader with a firm grip, as forces circle on Eva and her cohorts. I got the firm sense that McDermott is not just creating a world for his characters to maraud through, but expanding on the wider literary world he has created, with the welcome return of certain characters from his other works. As we progress to the kind of conclusion most blockbuster movies wouldn’t have the chutzpah to even attempt, I found myself asking broader questions of myself and my own feelings on the question of taking orders and executing them without asking for an explanation – and what the effects of your instructed actions can have in the long term. I thought of the power distant hands carry, keeping clean while the dirty work is done at a comfortable distance, and what the costs of this are. In the modern political climate, it was without doubt a thought-provoking read. In summary, Run and Hide, is full-throttle, topically-prescient entertainment of the highest order. Driscoll is a new creation that will have you rooting for her without question or pause, and will earn a great number of fans, old and new – and I’m personally delighted to see that the follow up, Seek and Destroy, is coming November 14th… because after that ending, I need to find out what happens and sharpish. 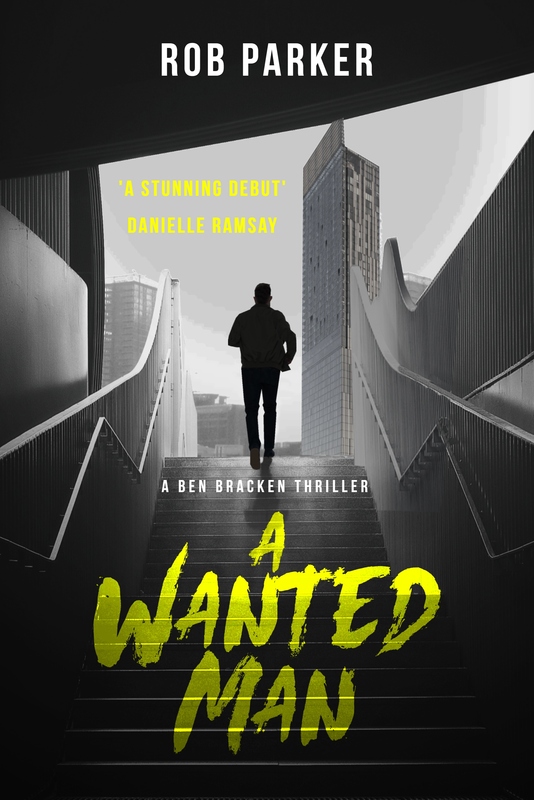 Delighted to share that the paperback edition of A WANTED MAN is now available for preorder through the links below – coming 18th December – can’t wait to see it in the flesh.